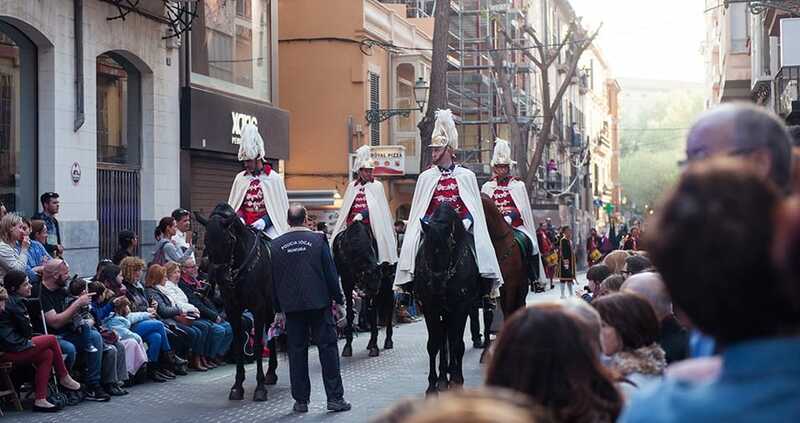 Semana Santa in Spain offers lots to do & see... Here's your insider's guide! In Spain and indeed Mallorca, Easter is full of traditions dating back centuries and while many European countries have lost the religions aspect of the celebrations, it is still a very important influence here on the island. Watching the re-enactment of the Passion of Christ through the streets of Palma and the other major towns and cities is as exhilarating as it is scary. Here you will find a schedule of the events taking place on Mallorca during Easter week. Holy Week (18th to 22nd April) on Mallorca is filled with traditional rituals and processions to mark the Passion of Christ. 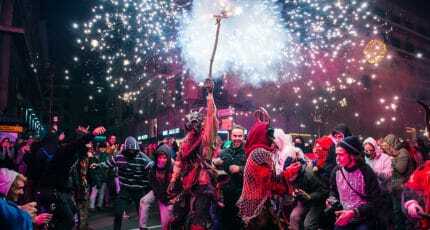 The most significant and memorable of these take place in Palma but, wherever you are on the island, there are events to observe or participate in. Processions begin on Palm Sunday at churches all over the island, with the bearing of palm branches, and continue through the week. 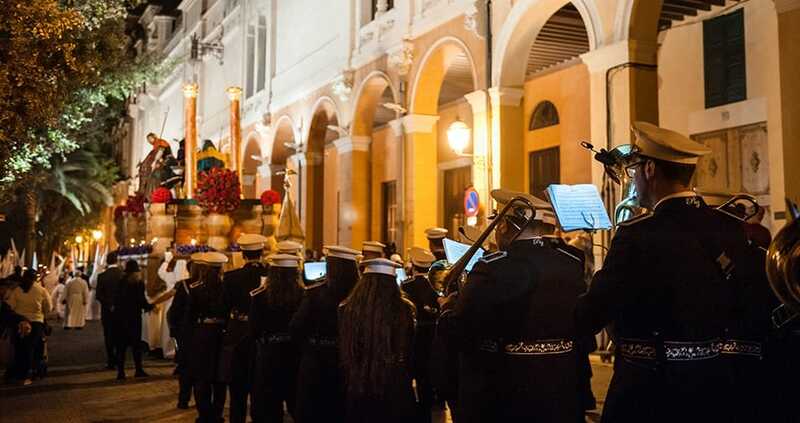 Holy Thursday: Thousands line the streets of Palma to watch the solemn ‘Crist de la Sang’ processions of the parish brotherhoods or ‘cofradias’ that make their way painfully slowly around the city streets. Each brotherhood is dressed in penitential robes and conical hoods, and carries religious statues on heavy platforms, to the accompaniment of sombre music. It takes until well after midnight for the procession to complete the penitentiary route. 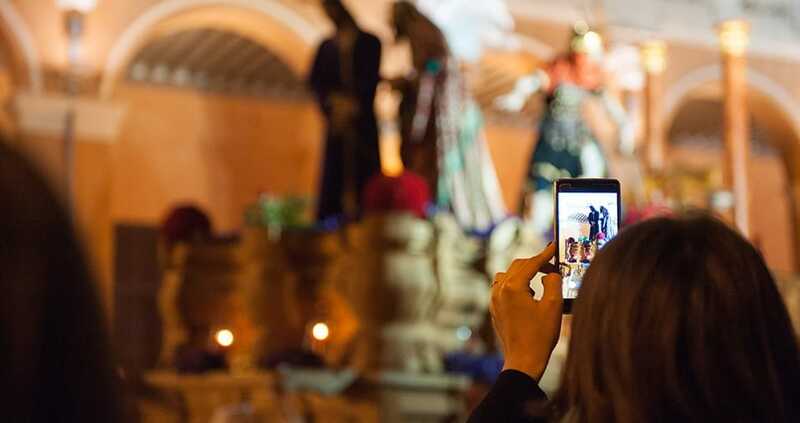 Good Friday: The re-enactment of the Passion of Christ takes place on the steps of Palma Cathedral at noon, following that evening (at around 19:30hrs) by the procession of the Holy Burial, departing from the church of San Francisco in Palma. Easter Sunday: The joyful ‘Procession of the Meeting‘ marks the reunion of the resurrected Jesus with his mother. A group of men carry a statue of Jesus towards a group of women bearing a statue of the Virgin Mary. The latter’s joy is represented by bobbing the statue up and down. Angel Sunday: The Sunday after Easter is when, traditionally, bread was distributed among the poor. Today food is still involved, but families and friends gather together to share a meal outdoors. In Palma, Bellver Castle is the most popular gathering place for this tradition. Others on the island include Alaró Castle, the Ermita de Sant Blai (Campos), Puig de Santa Magdalena (Inca), Mont-i-sion (Porreres), and the Santuari de Gracia (Llucmajor). La Fira del Ram: Easter on Mallorca wouldn’t be the same without the traditional fair that transforms the skyline on the outskirts of Palma for a couple of months. Thousands visit for the children’s rides, Ferris wheel, thriller rides, tombolas, stalls, and refreshments. Travel by Metro from the intermodal station in Plaza de España. The town of Pollensa is the location of one of the most moving events of Holy Week. Thousands watch the re-enactment of the Descent from the Cross (‘Devallament’) when a figure of Christ is carried down the 365 Calvari steps. Easter on Mallorca is an excellent time to get involved with the local customs and witness something completely different! Happy Easter! 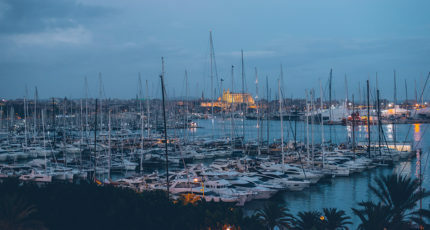 We hope you have found this article about the Easter on Mallorca useful and that you have many memorable stays in Mallorca as a result of our recommendations.